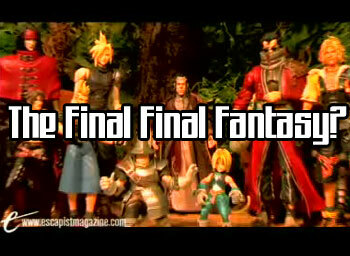 Wondering how the Final Fantasy series will end? Check this new video courtesy of theEscapist. Awesome Story and animation by the guys from Ravenstake.com. Faced with the final conflict, the heroes of Final Fantasy fight the final battle against their final foes. Finally. I think Elrond had the best time in the movie LOL. Watch the full Final Final Fantasy Movie after the jump.